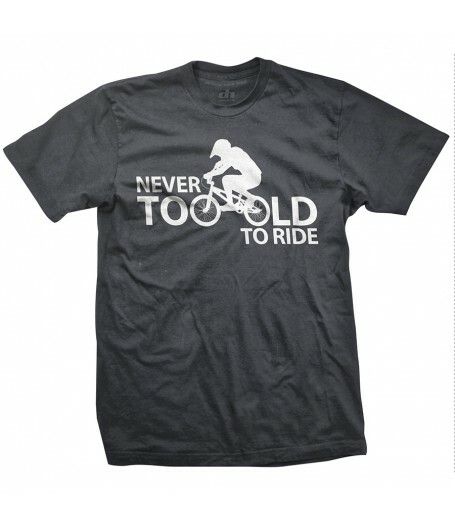 You might be too old to clear those doubles but you are definitely never too old to ride. 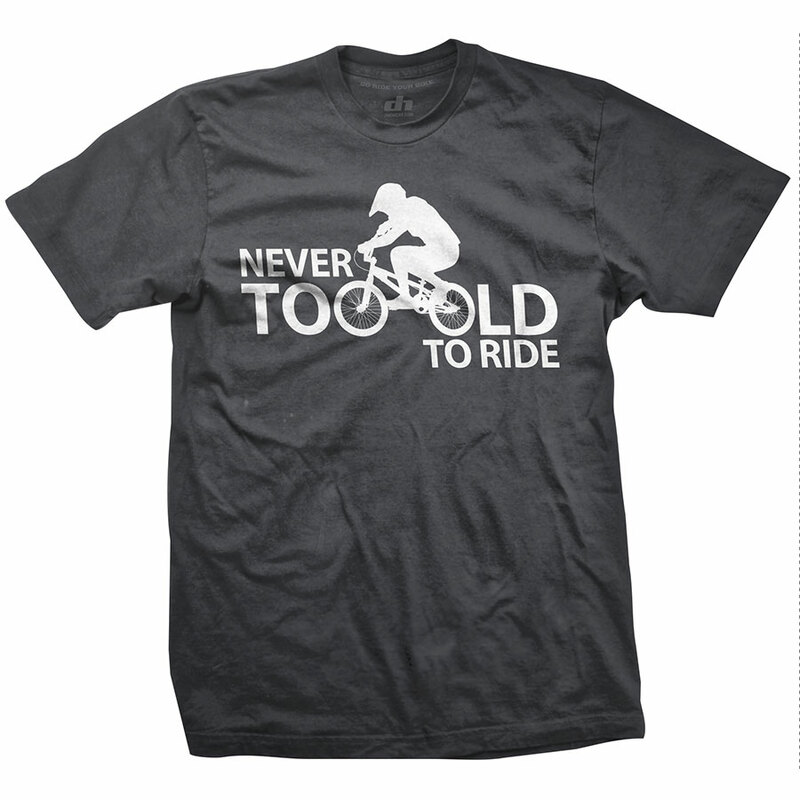 This shirt is for all those old school BMXers that are thinking about hitting the track again. Grey shirt with white graphic. Shirts are 100% soft cotton.